Going green is something everyone wants to do nowadays, but it can be hard to find everything you need to be environmentally friendly. Do you know how you would clean wood without buying the products from the store? If your answer is no, then you came to the right place. 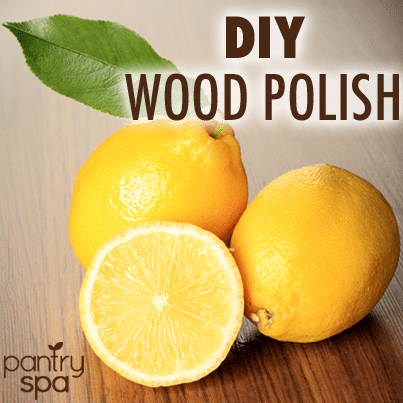 Below are three of the best all-natural wood polish recipes. Making wood polish is easy to do. Check out some of the two and three ingredient recipes for all natural, homemade wood polishes and wood cleaners. Cut lemon in half and squeeze juice into container. It is best to strain out the seeds and pulp. Add the olive oil and the water to the container and shake all the ingredients so they mix together. To use the product, pour a small amount on a cloth and wipe down the surface of the wood. Also, it is best to make this wood polish fresh every time you need it, but it can be kept in the fridge for a couple days before it loses its ability polish wood.